Yahoo is tying Flickr and search together. Starting today, if you are signed into your Yahoo account, you can find your Flickr uploads in search. Your Flickr images will populate at the top of your search, while images others have posted to Flickr show up in a second row. After Yahoo is done with Flickr, it shows results from the rest of the Web. 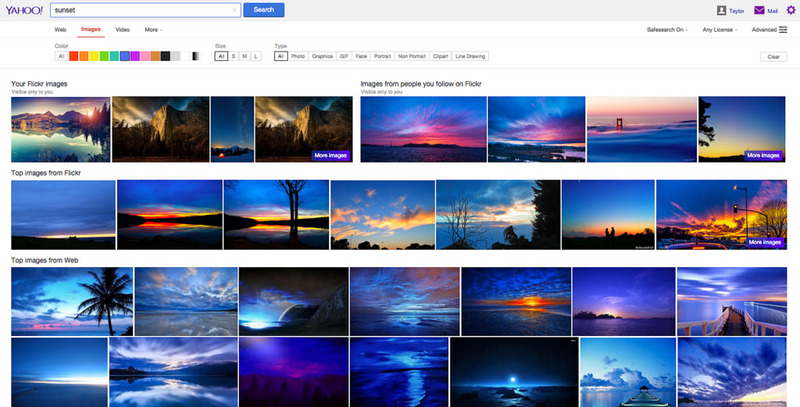 Search filters — like size or image color — will also apply your Flickr results. The change isn’t broad; Yahoo is only rolling it out for the desktop at this point.